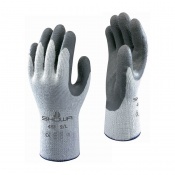 The Showa 330 Re-Grip Gloves feature a seamless cotton/polyester lining which is flexible and non irritating. The liner is combined with a latex-coated palm which provides excellent grip and resistance to abrasion, cutting and puncturing. There is an additional reinforcement of latex in between the thumb and index finger, enhancing the lifetime of the gloves. The Showa 330 Re-Grip Gloves have been tested to EN 388, the European Standard that gauges a gloves resistance to a range of physical threats. Please see the table below for a breakdown of the results. 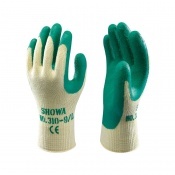 Showa 330 Re-Grip Gloves are ideal for use in scaffold assembly, handling of metals, ropes and cables and many more. 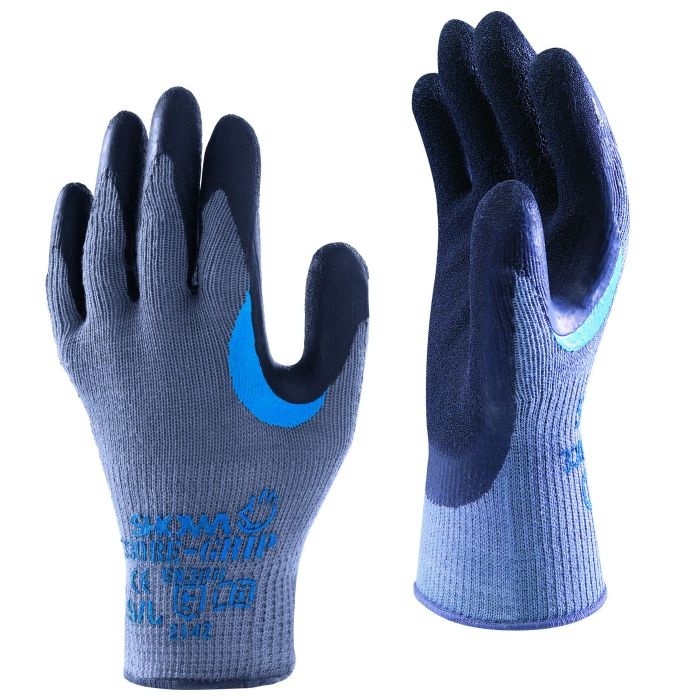 Please note: these gloves are poorly resistant to oil, grease and organic solvents. Showa 330 Re-Grip Gloves are available in a variety of sizes; please refer to the table below for more information on sizing.